Wally Findlay Galleries is looking for a highly motivated individual with an excellent sales record for an art consultant position in their Palm Beach Gallery. The ideal candidate will have gallery, auction house or luxury goods sales experience and demonstrate the ability to initiate and grow relationships with clients as they build personal collections. The main focus of this role is conducting sales in both the primary and secondary markets with rewarding compensation and bonus schedules. The role also involves helping to host openings and special events as well as representing the gallery at other special programs and art fairs, as necessary. Candidates should possess strong interpersonal and communication skills. 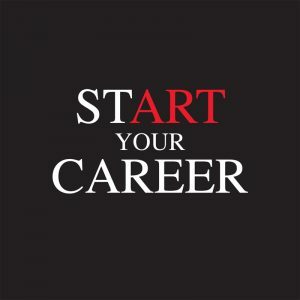 A proven sales record, business getting experience and the ability to learn quickly is required. Education and experience in the arts is preferred. Foreign language is a plus. Wally Findlay Galleries is a 141 year old gallery specializing in Impressionist, Post-Impressionist and Modern masters, as well as representing a distinguished group of international contemporary artists. The company maintains galleries in New York and Palm Beach.. We offer an excellent benefits package and a competitive compensation structure provided through substantial commissions and bonus plans. This is a wonderful opportunity for an ambitious, experienced and industrious team player who is looking for a long-term commitment. Wally Findlay Galleries is looking for a highly motivated individual with an excellent sales record for an art consultant position in their New York Gallery. The ideal candidate will have gallery, auction house or luxury goods sales experience and demonstrate the ability to initiate and grow relationships with clients as they build personal collections. The main focus of this role is conducting sales in both the primary and secondary markets with rewarding compensation and bonus schedules. The role also involves helping to host openings and special events as well as representing the gallery at other special programs and art fairs, as necessary. Candidates should possess strong interpersonal and communication skills. A proven sales record, business getting experience and the ability to learn quickly is required. Education and experience in the arts is preferred. Foreign language is a plus. Wally Findlay Galleries is a 141 year old gallery specializing in Impressionist, Post-Impressionist and Modern masters, as well as representing a distinguished group of international contemporary artists. The company maintains galleries in New York and Palm Beach. We offer an excellent benefits package and a competitive compensation structure provided through substantial commissions and bonus plans. This is a wonderful opportunity for an ambitious, experienced and industrious team player who is looking for a long-term commitment.